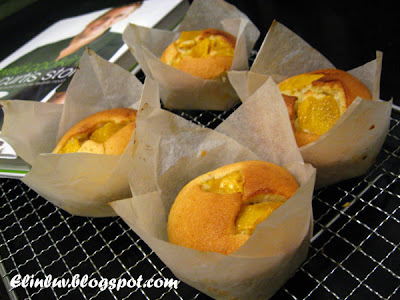 This recipe is taken from " Relaxed Cooking With Curtis Stone " . Love this guy..not only handsome but he made cooking and baking look so easy and yet delicious ! 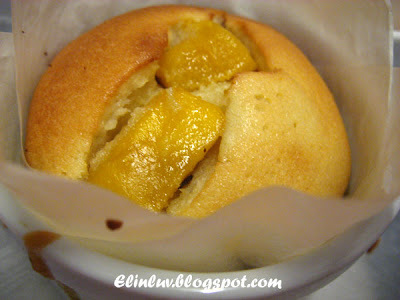 Raspberry Muffins but I used mango instead Mango are plentiful here :) Soft and moist. Love it and I hope you will like it too ! Recipe extracted from the cookbook " Relaxed Cooking With Curtis Stone "
Preheat the oven to 350 F. Spray 9 cups of a non stick muffin pan with nonstick cooking spray. Whisk the almond meal, the 1 cup confectioners' sugar, the flour, and the salt in a large bowl to blend. Stir in the melted butter. Using an electric mixer, beat the egg whites in another large bowl for 1 minute or until soft peaks form. Using a rubber spatula, gently fold the egg whites into the batter. Then gently fold 1 cup of the raspberries into the batter. 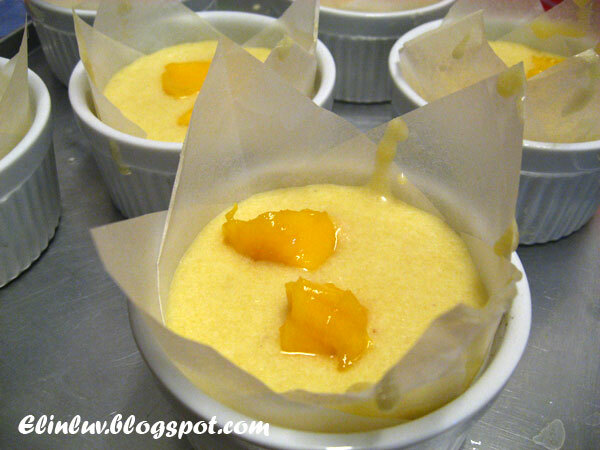 Immediately divide the batter among the prepared muffin cups, filling the cups completely. Place 1 or 3 of the remaining raspberries atop each muffin. Bake for 30 minutes or until the muffins are pale golden and the tops spring back when touched. Let the muffins cool in the pan for 5 minutes. 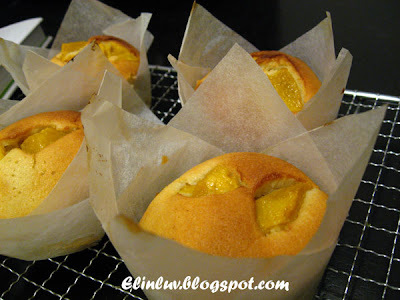 Then gently twist the muffins to release them from the pan and let them cool completely on a wire rack. Sift confectionrs' sugar over the muffins and serve.